COZMO’s activities aim to promote the playing of Zupforchester (plucked-stringed orchestra) instruments in Canberra ACT and surrounding regions – and the fun we have in playing and performing! Sessions for Learning Group (Beginning) & Learning Group (Continuing): 4.00 -5.00pm. Ensemble Rehearsals: 5.15 – 7.30pm. Details: see Joining COZMO and Rehearsals. LG Sessions and Ensemble Rehearsals are both held on Sundays (during school term time; the first for each term being on the Sunday just prior to the first Monday of the new term) at the Hellenic Club In The City (Atlas Room), 13 Moore St, City. COZMO members at the ensemble’s 2017 High Court Concert (11 June 2017) – L to R: Stephen (Guitar), Julie (Guitar), Gianni (Guitar), Ben (Mandolin), Lea (Mandolin), Diana (Mandolin), Lindsay (Mandolin), Diane (Mandolin), Col Bernau (MD: Mandolin & Mandolas), Alicia (piano) (Photo courtesy of Peter Hislop). Click HERE for photos of the event. IT’S COMING TO CANBERRA! The next week-long FAME Mandolin Festival will be held from 6-13 January 2019 at Canberra Park, Canberra ACT. Every 18 months to 2 years, under the auspices of the Federation of Australasian Mandolin Ensembles Inc., a FAME Mandolin Festival is hosted in one of its member states in Australia or New Zealand. The host state for the next FAME Mandolin Festival is the Australian Capital Territory – with hosting orchestras COZMO (Capital of Australia Mandolinata Inc) and the CMO (Canberra Mandolin Orchestra Inc). The venue for ‘FAME Festival Canberra 2019’ is Canberra Park, on the corner of Well Station Rd and Federal Highway. All players of mandolin, mandola, mandocello, guitar and bass (acoustic and double bass) are welcome to participate in a week of rehearsals and sectionals, workshops, and in-house evening concerts, culminating in a public Finale Concert at the Albert Hall, Yarralumla on Saturday 12 January. All playing levels will be catered for – Beginner, Competent and Advanced – throughout the week, with plenty of opportunities at tea breaks, mealtimes and in the evenings to meet players from interstate and overseas mandolin orchestras, to network and to form new friendships. Festival organisers are delighted to announce that our conductor for this forthcoming event is world-class mandolinist, guitarist and conductor Signor Carlo Aonzo. To participate in the FAME Mandolin Festival Canberra 2019, please complete the Festival Registration Form (link here: Reg Form FAME Festival 2019 (Canberra Park) 14May2018 (fillable) and email it to the Festival Registrar at: famefestival2019reg@gmail.com . This Festival Form contains further information about the Festival and must be used to book your attendance. It is electronically fillable for your convenience, or it can be downloaded, printed out and filled in by hand, then posted to: FAME Festival Canberra 2019, c/- Festival Registrar, 24 Amaroo St Reid AT 2612. Details about payment are included on the Registration Form. If you live in Australia or if you have an Australian bank account: Payment can be made by EFT (Electronic Funds Transfer), or a cash or cheque deposit at any branch of the Festival’s bank: Commonwealth Bank of Australia. If you live overseas (including New Zealand): Payment can be made by IMT (International Money Transfer) or IMO (International Money Order). Payment details are included on the Information Page of the Registration Form. Non-Residential Performer: AUD $420 per person. All rooms have ensuite bathrooms. All Residential fees include all meals from the ‘Welcome’ Dinner on Sunday 6 January through to breakfast on Sunday 13 January, morning and afternoon teas, the ‘Formal’ Dinner on Friday 11 January and the After-Concert Party on Saturday 12 January. Non-residential fees include the ‘Welcome’ Dinner, Lunches, morning and afternoon teas, the ‘Formal’ Dinner on Friday 11 January and the After-Concert Party on Saturday 12 January. The Festival Fee is payable in two amounts: a Registration Fee of AUD $250 (due by 13 July 2018) and the Balance of Festival Fee (due by 14 September 2018). Please contact the Festival Registrar by email at: famefestival2019reg@gmail.com, or by phone (0421 043 082) if you have any queries and we’ll be happy to help. 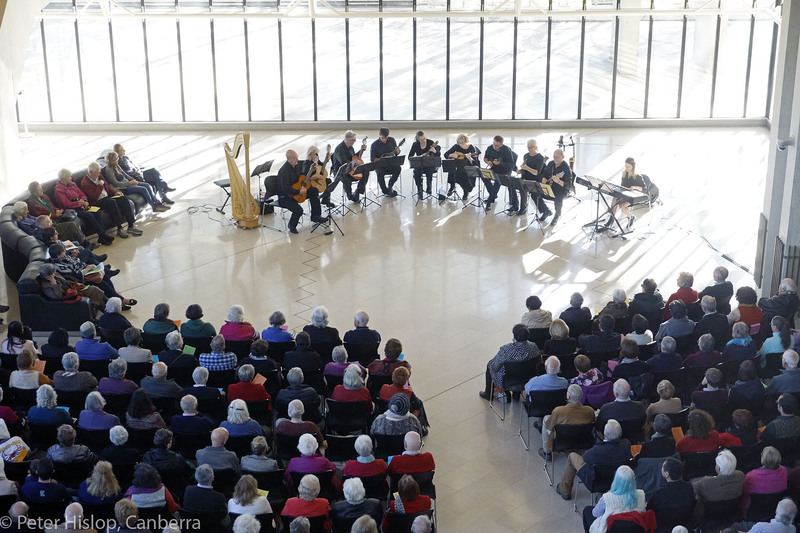 We look forward to welcoming all mandolinists and mandolin-family instruments, guitarists and bassists to the FAME Mandolin Festival Canberra 2019, 6-13 January 2019! COZMO Ensemble Rehearsals for Semester 1 (Term 2), 2018 resume on Sunday 29 April, 5.15-7.30pm. In the Atlas Room, Hellenic Club in the City. Semester 2 COZYMO Learning Group (Beginning and Continuing levels) Sessions will commence on Sunday 22 July, 4.00-5.00pm. Info on previous activities: see Past Events. Info on COZMO, Learning Groups and rehearsal times: see Rehearsals. Info about COZMO’s music and resources: see Repertoire. How to join the COZMO ensemble or participate in our Learning Groups? Where to get lessons? How to find a teacher? How to hire an instrument? Fees? See Joining COZMO. Other plucked-stringed orchestras and organisations promoting this exciting and beautiful music, camps and festivals: see Links. Sheet music and MP3s for rehearsals, other resources and admin items: see Members and Participants Only (password required – Members and Participants only). What is a mandolin orchestra? This kind of orchestra is a plucked stringed orchestra (or ‘Zupforchester’). 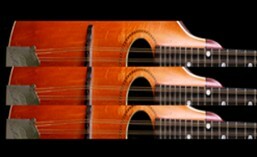 It comprises instruments in the mandolin family – mandolins (trebles), mandolas (altos) and mandocellos (tenors), with guitars and mandobass or double bass added to complete the group. The repertoire is drawn from almost any genre of music: from classical to modern and popular, traditional, folk and world, jazz, romantic and swing, providing entertaining and eminently listenable performances. HELLENIC CLUB IN THE CITY – Whether a member or a visitor, you can enjoy a coffee and cake or a delicious meal at the Club’s Bistro any time you’re in the City. The Bistro serves FREE Kids’ Meals on the weekends (children under 12) – your whole family could enjoy a great dinner together there!